These are the trees planted on your behalf. The trees will be nurtured by the farmer on whose land it has been planted. 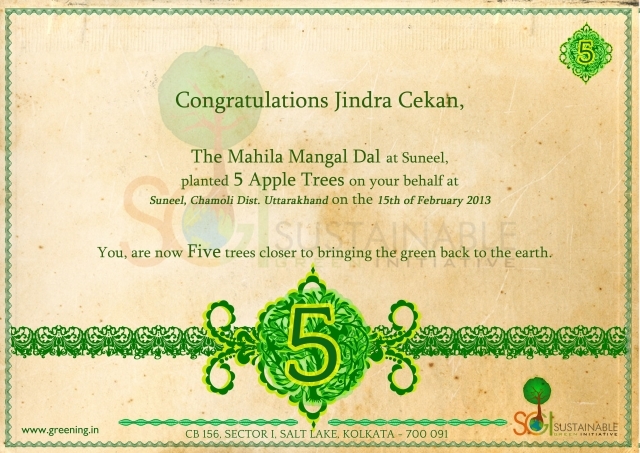 Each tree will help the farmer with food, nutrition and income of atleast US$ 10.00 every year.